It is 8"x10" (Closed) size. Use the extra pockets for your pen, notes and inserts. Get the year started out right! Now available for 2019. 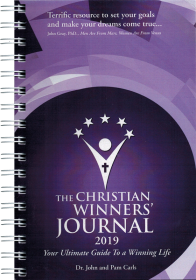 Your journal is now with a Christian Lifestyle emphasis. 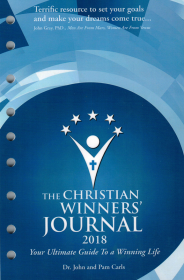 Feed your faith with daily affirmations that are in line with what the Bible teaches. 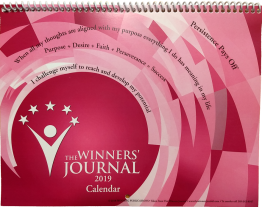 2019 Calendar Year Journal, loose leaf and convenient to add to your binder. 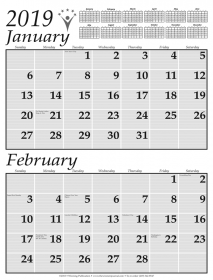 Easily motivate yourself with the convenient hanging flip calendar. Executive Planner. Thin and easy to carry. 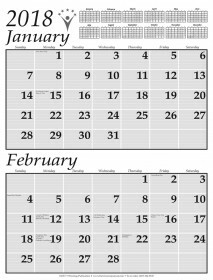 Starts with December 2018 through 2019. 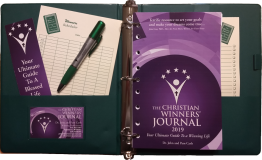 2018 Calendar Year Journal, loose leaf and convenient to add to your binder. 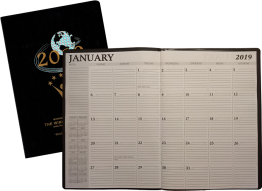 2018 Calendar Year Journal, Spiral Bound and convenient. 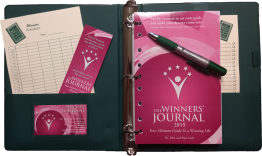 Start your 2018 off on the right path with your new Winners Journal. Inspire yourself daily with relevant quotes and insights. Then plan your day and year with confidence. 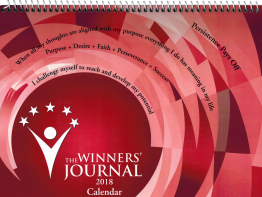 2018 Calendar Year Journal, loose leaf and convenient to add to your binder. Start 2018 off on the right path with your new Winners Journal. Inspire yourself daily with relevant quotes and insights. Then plan your day and year with confidence. Have Your Filled a Bucket Today? 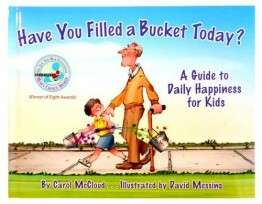 A Guide to Daily Happiness for Kids by Carol McCloud. Recipient of the Mom's Choice Awards. 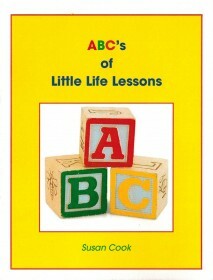 Through sweet, simple prose and vivid illustrations, this heartwarming book encourages positive behavior as children see how very easy and rewarding it is to express kindness, appreciation, and love on a daily basis. One night, a little boy, an old man, a widowed mother and a successful business man all pray for the same thing. The power of their individual voices all expressing the same thought reaches the heavens and God decides to send down an angel to answer their prayer in unison. 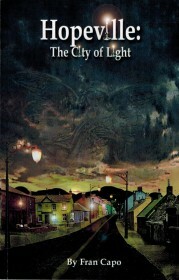 In that one night the town is transformed in the most unusual way. Some people are happy, some are shocked, some are scared, and some don't even notice the drastic change. For a while everyone is on their best behavior and the town has never been filled with so much kindness. But soon, the evil minded people in town find a way to manipulate this pure gift which angers the angel. The angel decides that people cannot take this gift for granted and everyone is given a special power. Will good win over evil? Will people ever learn that they are put on this earth for only one reason, to enjoy the journey, be happy, live in the moment and learn from their challenges? Unknown to the towns people, they are on the clock and if they don't all agree on a very simple task, this gift will be taken away from them forever. Can the 4 people who started this miracle, convince the towns people to change their ways and thus ensure happiness for generations to come? Hopeville is a simple story, told to inspire, motivate, and keep people realizing that they too can create their own miracle, if they only ask for it. 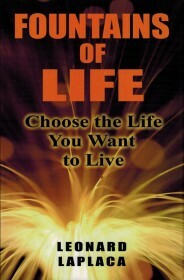 Choose the life you want to live by Leonard Laplaca. I have shared a few things from this book in the Winners Journal. Leonard Laplaca has much to offer and will help you to grow. 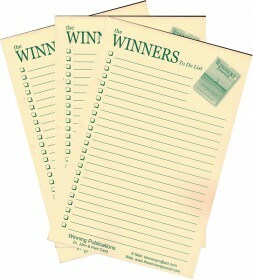 Winner's Poster to remind you of your goals and help direct you to that positive start each day. 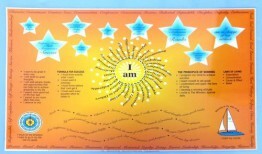 Put it up in a convenient place to help you gain the great state of mind you need to conquer each day. 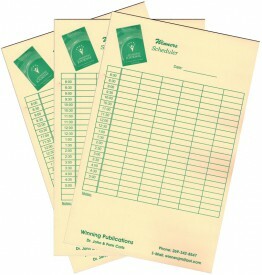 You've made your plans, now schedule your day with these handy pads. You've made your plans, now jot them down in the Winners Journal To Do pad to carry out. The perfect companion.